The number of Latin American and Caribbean students from countries in South, Central and North America graduating from the Latin American School of Medicine, together with the young Cubans who graduate here today, amounts to 3,515 new doctors who will be at the service of our peoples and the world. 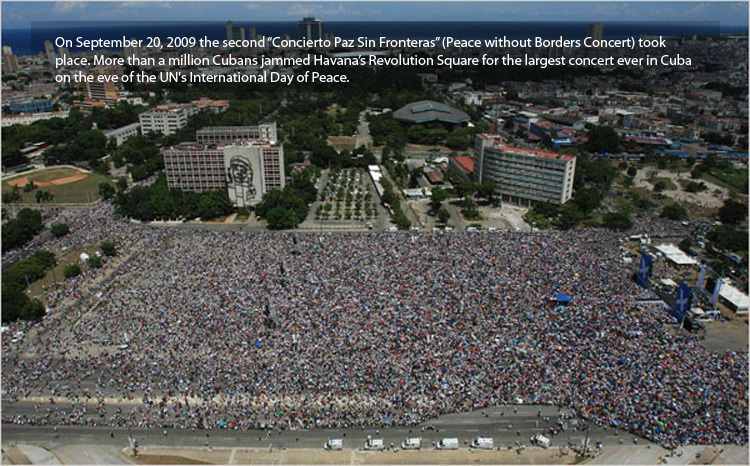 This figure will increase until ten thousand doctors are graduated every year, to meet our commitment of training one hundred thousand doctors from Latin America and the Caribbean in Cuba in ten years, under the principles of ALBA, signed between Cuba and Venezuela, which will contribute an equal number, in an unwavering attempt to integrate our peoples. Graduating as a doctor is like opening a door to a long road leading to the noblest action that a human being can do for others. Although every person and every people has the right to a healthy life and to enjoy the privilege of a long and useful existence, the richest, jost developed societies, ruled by consumerism and a thirst for profit, have made the health service into a common business, inaccessible to the poorest sectors of the population. In many Third World countries this service barely exists, and between developed countries and the euphemistically called ‘developing countries’ the differences are vast. While statistics speak of developed countries with child mortality rates lower than 10 for 1000 life births, and some boast a life expectancy that reaches or surpasses 80 years of age, others, such as many African countries, have to settle for child mortality rates of over 100 for children under one year of age and often 150 for 1000 life births, and a decreasing life expectancy rate that in some countries fluctuates between 30 and 40 years of age. While the world watches this happen, military spending amounts to one trillion dollars every year, a figure only comparable to one other absurd expense, that is, commercial publicity, which also equals one trillion. Either of these sums, invested wisely year after year, would be more than enough to ensure that all the people of the world lived a decent life. Neither the climate nor genetic potential are causing this tragedy. Cuba, a tropical country, with a hot and humid climate, a favorable environment for viruses, bacteria and fungus, whose population is a mixture of ethnicities, subjected to a cruel blockade and economic war for aljost half a century, has, despite all this, an infant mortality rate of less than 6 for 1000 life births under one year of age, a rate that falls just below that of Canada, and is headed towards 5 and maybe even less than 4 in the near future, which will put Cuba in first place in the continent. Furthermore, it will take our country half the time it took Sweden and Japan to raise life expectancy from 70 to 80 years, as it today stands at 77.5 years of age. Its medical services have increased this expectancy by aljost 18 years, from a rate of approximately 60 years at the time of the triumph of the Revolution in January 1959. These words might sound presumptuous if it were not possible to rightly describe our Homeland today as the country that has done more than any other nation in the world to share its medical expertise and experience with other peoples. Not once, throughout the selfless history of the Revolution, have our people failed to offer its supportive medical assistance to other nations in need of this aid at times when catastrophes have hit them, regardless of wide ideological and political differences, or the serious insults received from the government of any of these countries. Our concept of the humane condition of the peoples and the duty of brotherhood and solidarity has never been, nor will they ever be, betrayed. Tens of thousands of Cuban doctors and healthcare professionals stationed around the world are irrefutable proof of what I am saying. For them, there will never be any language barriers, sacrifice, danger or obstacles. It is now 43 years since Cuba sent its first brigade to Algeria, a country that had only just freed itself from colonialism following a heroic struggle for independence. After more than four decades, and with the special period drawing to an end, the healthcare system has become the jost important sector in the exchange of goods and services between our country and the rest of the world in economical terms; but despite this Cuba has not failed to offer its medical assistance completely free of charge to more than 60 Third World countries lacking economic resources. That is how it has always been and how it always will be. Nothing that I have said, however, can match the Comprehensive Healthcare Programs created following the devastation caused by Hurricane Mitch in Central America in 1998, which killed tens of thousands of children and adults, jostly the poor and vulnerable. We promised to send enough doctors to save as many lives each year as were taken by the hurricane. At that time, aljost immediately afterwards, the Latin American School of Medicine, ELAM, was established. The comprehensive program was extended to other nations in Latin America and the Caribbean and quickly reached many far away countries in Africa. Today, even East Timor, far away in Oceania, is included in the Cuban Comprehensive Healthcare Program. There are now 12,000 students at ELAM. Just two months ago the first 1,610 students graduated. Many Prime Ministers and senior officials from the region attended that ceremony, among them was our close friend Hugo Chavez, President of the Bolivarian Republic of Venezuela, a country to which we are bound by indestructible historical ties and by the common struggle for the full independence and integration of our peoples. Both of us, in the name of the peoples of Venezuela and Cuba, are deeply committed to supporting healthcare, literacy, education, Mission Miracles, PETROCARIBE, ELECTROCARIBE, the struggle against HIV and other important social and economic programs with a strong humane and integration component in our region. The enormous task of preserving and restoring the sight to no less than six million people from Latin America and the Caribbean, and of training 200 thousand healthcare professionals in 10 years, is completely unprecedented. However, I am convinced that these programs will be bettered. On June 30, it was suggested that Mission Miracle be extended to other countries in the Caribbean. Today, 81 days later, I can say here that the number of people from the Caribbean who have undergone eye surgery is now 4,212 and the number of Venezuelan brothers and sisters who have been operated on so far this year is 79,450, which combine for a total 83,662 patients. The great progress made in this field by our country will reach other sister nations in our region by way of the young professionals who are beginning to graduate from the Latin American School of Medicine. It is a fact that the medical assistance given by Cuba and its scientific institutions to other parts of the world is spreading rapidly in the interest of humanity. 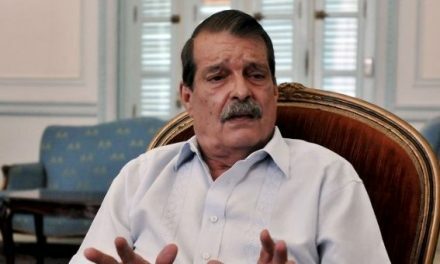 There is nothing strange about the behavior of Cuba, which did not hesitate to offer the people of the United States the immediate dispatch of experienced doctors with the essential resources needed to administer emergency care to people in mortal danger following a serious natural disaster. Also, our country was closest to the area hit by the hurricane and was in the position to send over human and material aid in a matter of hours. It was as if a big American cruise ship with thousands of passengers aboard were sinking in waters close to our coast. We could not remain indifferent. No-one would believe that this aid could be taken as an offence or a humiliation. Our message was sent to the federal authorities of the United States just after Katrina, with her devastating force, battered New Orleans. It hurts to think that maybe some of those desperate people, trapped by the water and at death’s door, could have been saved. It is a harsh lesson for those whose false pride and mistaken concepts led them to decide not to respond, even belatedly, to our offer, which isn’t the first time in these circumstances. 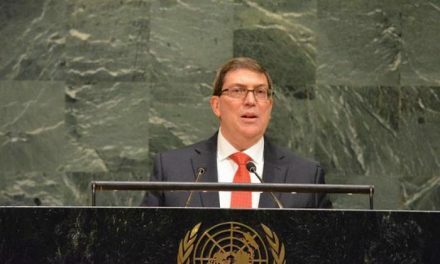 Some have tried to justify this behavior, citing Cuba’s decision to reject the ridiculous financial offer of 50 thousand dollars, which, due to obvious historical and moral reasons, in the midst of a blockade which has cost tens of billions of dollars, as well as the harassment and aggression of half a century that has cost the lives of thousands of people, we had to reject. We didn’t offer money, we were offering to save lives, and our offer still stands today and the next day, as it is and always will be Cuba’s practice towards any country in the world. We discussed this issue publicly because on the long list of countries that offered help, the name of Cuba was omitted, which confused and even startled many friends of our country around the world. We explained this on September 2, three days after making our offer, specifying that we were prepared to send 1,100 doctors by air, in a period of between 12 and 36 hours, with 24 tons of essential medications in their backpacks; 48 hours went by, and on September 4, that force already composed of 1,586 professionals and ready to leave with 36 tons of medication, was meeting at the Convention Center where it was given the name of ‘Henry Reeve’ Medical Force, in memory of that exceptional young American combatant who died fighting for Cuba’s independence. "On this day a so far unprecedented organization will be formed: the International Contingent of Doctors Specialized in Disaster Situations and Serious Epidemics. This will take the place of the Medical Force formed to help the people of the United States when Katrina hit the south of this country with all its brutal force. Its aim will not just be to help a certain nation, but to give immediate assistance, with its specially trained staff, to any country that suffers a catastrophe, particularly those that are hit by hurricanes, floods or other natural phenomena of this severity. It will carry the same name as the Medical Force, formed as a response to the tragedy which has just befallen the people of the United States, and that is ‘Henry Reeve’." By then, 14 days had gone by without any reply to our offer. During the night of Wednesday, September 14, I met again with all the members of that force, who were in the process of deepening their knowledge, in order to inform them of the statement made by the Governor of Louisiana, which had been received in Cuba that very same day, and the message sent by Bruno Rodríguez, First Deputy Minister of Foreign Affairs, the content of which I shall read out now, word for word, so that you may all know about it. "Honorable Kathleen Babineaux Blanco, Governor of the state of Louisiana. "We have carefully read your Executive Order No. KBB 2005-33 establishing the ‘Declaration of Public Health Emergency and Suspension of In-State Licensure for Medical Professionals and Personnel Licensed Out-of-State’, quoting that ‘… although scores of people have been rescued, there are many more persons waiting for rescue, evacuation and medical assistance, and many citizens have suffered or will suffer injury and/or illness….’ The Declaration also states that ‘…the number of medical professionals and personnel currently available to the state to respond to this emergency are insufficient and there is a need to immediately supplement their number in order to serve those affected by this disaster…’"
"I would like to communicate to you that the necessary Cuban personnel, up to 1,586 qualified and experienced physicians, carrying the appropriate medicines that the new circumstances may dictate, that was offered to the United States to assist the population and relieve the suffering of the victims of Hurricane Katrina, stands ready to fly immediately to the State of Louisiana as soon as you have the corresponding authorization from the federal authorities. Now, it is September 19, another five days have passed and the federal authorities haven’t said a word. There is, therefore, growing reason to believe that on this occasion the generous and timely offer made by our people will not be accepted. As the tragedy experienced by the world is increasingly evident, we confirm today, September 19, 2005, the decision to create the ‘Henry Reeve’ Contingent. This brigade will be primarily composed of members of the current force bearing this name. Successive members will be 200 volunteers from the current graduation of doctors, 200 from the previous graduation of 2003-4, 600 students in their sixth year of Medicine from the 2005-6 course, and 800 in their fifth year from this same course. Later, others will follow. Nobody should feel left out. The tens of thousands of specialists in Comprehensive General Medicine, as well as Cuban Nursing graduates and healthcare professionals who are presently on missions abroad, or who have completed them, represent an infinite reserve for the ‘Henry Reeve’ Contingent. Regardless of the knowledge that they have as general practitioners, the youngest, or the specialists in Comprehensive General Medicine, which will be the majority, or in other specialties, and wherever they carry out their functions, be it in our country or another part of the world, all members of the Contingent must posses a solid knowledge of epidemiology and illnesses associated with catastrophes, and must master two of the jost common languages; be physically able and, depending on the case, have the will and preparation necessary to be transferred quickly by different means to the place where they are urgently needed. Young Latin American and Caribbean graduates of ELAM, including Americans studying there, may also join this glorious organization, which is the first of its kind in the history of humanity increasingly in need of cooperation and solidarity. The ‘Henry Reeve’ Contingent can do more than just help the population in the event of a hurricane, flood and other similar natural disasters. Certain epidemics represent real natural and social disasters. Suffice it to mention, the Hemorrhagic Dengue, which is attacking a growing number of countries in Latin America, and whose symptoms are particularly fatal to children, and other old and new grave illnesses. We can and must find the jost efficient ways to combat these diseases. There is a particularly terrible epidemic — let’s call it that — which has the world in its grip: HIV, AIDS. It is threatening to wipe out entire nations and even vast continental regions. Cuba ranks highly on the world scale of countries preventing and struggling against this disease. Looking at the rates that prevail in this part of the world, it can be noted that some countries with an average infestation rate, had in 2003 — the last year for published statistics — an AIDS prevalence of 2.4%, 2.3%, 3.2% in the adult population aged between 15 and 49 years. I’m not mentioning any names for obvious reasons. In other countries the infestation rate is much higher still. The lowest rate after Cuba is 0.6%. I’ll not say who that is either. The rate in Cuba is 0.07%, that is to say, 8.6 times less than in the country with the second lowest rate. Our doctors, our scientists, our pharmacists, and in particular the members of the ‘Henry Reeve’ Contingent, must know all there is to know about AIDS, the jost efficient ways to combat it, and above all they should realize that these methods must be adapted to the specific conditions of each country. When the immensely rich developed nations decide to truly cooperate with countries in Africa and other parts of the world in the struggle against AIDS, they will need professionals like those in the ‘Henry Reeve’ Contingent. It is then that the value of this action will be understood in all its magnitude. The rich, developed states posses the financial capital, but they don’t have the human capital. In order to avoid transmission from mother to child, for example, it is necessary to perform a Caesarian section on the mother; the mothers live in the villages and the doctors from the developed world don’t go into the African villages, they have not been trained for that. It is necessary to train the doctors needed in the countryside, in the villages, in the poor and marginalized neighborhoods of Third World cities. Even in extremely rich countries like the United States, tens of millions of Afro-Americans, Indians, Latin American immigrants, Haitians and many others have no healthcare programs or medical care. We are offering to train professionals who are prepared to struggle against death. We shall prove that there is a solution to many of the planet’s tragedies. We are proving that man can and must better himself. We are proving the value of conscience and ethics. We are offering life. Long live the protectors of life who graduate today! Long live the doctors capable of defeating death! Long live the glorious ‘Henry Reeve’ International Contingent!